The Blaze kit is used in conjunction with the Blaze Leader’s Guide. It contains all of the supplies that you need to lead the sessions. 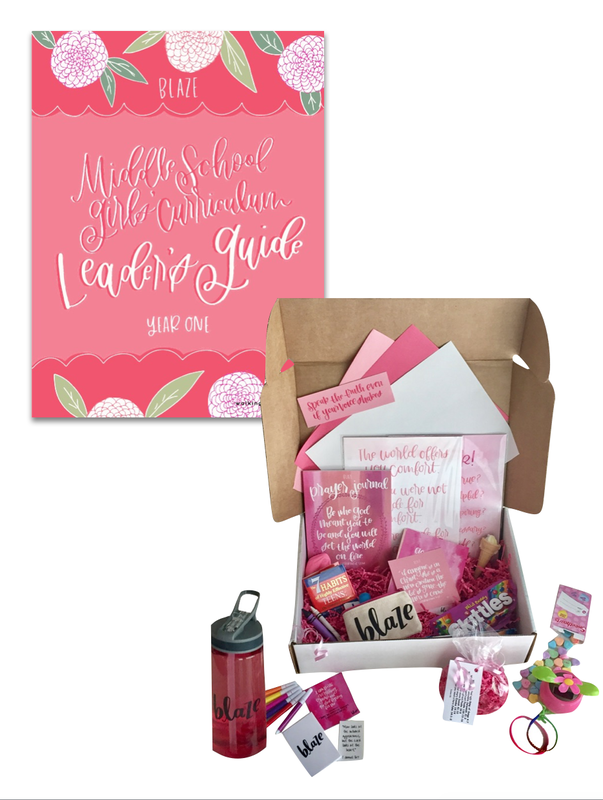 This includes lesson-based take home gifts, truth vs. lie cards, ice breaker activity supplies, packaging supplies and a Blaze prayer journal. Kits are available for individual girls or in a 5-pack. NOTE: Blaze Kits can only be shipped via UPS Ground. Orders that include Blaze Kits must select UPS Ground shipping during checkout. Selection of any other shipping method will result in the order being cancelled in full and refunded. Please select UPS Ground shipping for orders containing Blaze kits.